WE commenced business at our present shop 116 years ago in the reign of George IV, but we barely SURVIVED the War, as we lost several premises and warehouses, the most regretted being our shop, The Cloisters, Temple, built by Sir Christopher Wren, and a basement warehouse in Lamb Building, Temple, the writer having the bitter experience of seeing these premises, the Temple Church, Inner Temple Library and many others destroyed by enemy action on 10-11 May, 1941 from 11 pm to 5 am. next day enemy aircraft appeared to be incessant. To see tens of thousands of books, many irreplaceable, destroyed is sad, and the world, even enemy countries is the poorer. 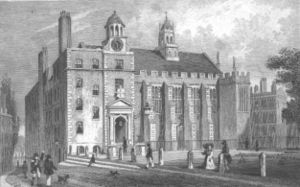 Another warehouse near Chancery Lane was bombed, but after many weeks of dangerous labour in the condemned premises we managed to salvage many lorry loads of books and placed them in the basement of 3 Stone Buildings, Lincolns Inn. Two days after we had finished, a bomb fell and destroyed the lot. ANOTHER CAUSE of our near extinction was that owing to War Service, at one time our staff consisted of EXACTLY ONE, and he (over sixty) was in the Home Guard. Fortunately our HQ in Lincolns Inn remained intact with the exception of losing all the glass several times. The note above was written by W.W. Sinkins, grandfather of the current owner, as an introduction to our first post war catalogue in November 1946. During the war in addition to running Wildy’s he was an ARP Warden and as he describes witnessed the bombing of Temple in 1941. 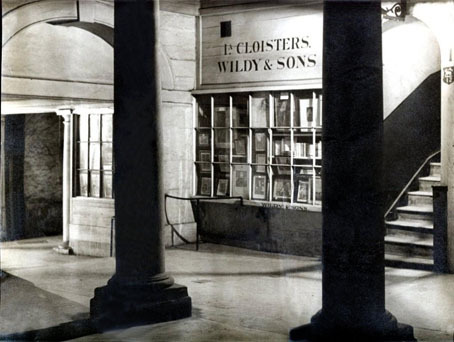 Wildy & Sons has occupied Lincoln’s Inn Archway since 1830 and it has always been a family business although the last Wildy died more than 40 years ago. The Sinkins family have been partners in the business for over a century and John Sinkins, the current proprietor, is still maintaining the traditions and standards that have endeared Wildy’s to many generations of legal practitioners. In 2005 the British and Irish Association of Law Librarians recognised this by awarding Wildy’s the first BIALL Customer Service Award and in 2010 we were given the BIALL Supplier of the Year award. We then went on to win the BIALL award in 2013 and 2014. Wildy’s are probably unique, in that in addition to stocking the largest selection of new law titles in the UK, it also has a vast second-hand department, encompassing everything from the latest paperbacks to rare antiquarian books, as well as valuation, binding and repair services. During the 1970’s, half a drawer of records a month was sent upon request to the Bodleian Law Library in Oxford, to assist in their cataloguing of early law books. W.E.B.‘s legacy to the company was to leave a database that is unique: a card index system of 86 drawers, containing approximately 65,000 record cards, listing law books published from the year 1500 to the present day. Visitors to our Lincoln’s Inn branch are welcome to view these records. The work he began continues even today. Prints and maps also make up a large part of the business, with stock ranging from modern reproductions to 17th century original deeds written on parchment. 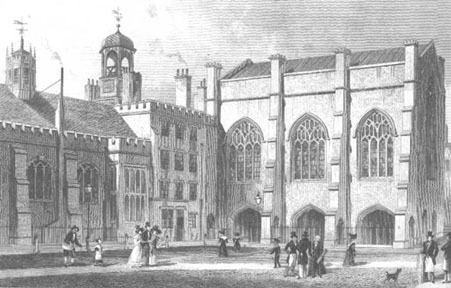 In addition to Lincolns Inn Archway, Wildy’s had a second bookshop located within the Cloisters in Middle Temple. German bombs destroyed this shop during the Blitz in 1941. Recently this second shop has been reopened and in keeping with the historic legacy of the business this new shop is based in the heart of Fleet Street on a site that dates back to the 14th century. 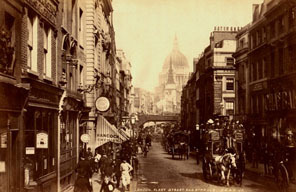 Fleet Street has always been the haunt of printers, publishers and booksellers since Wynkyn de Worde set up in 1500. During the 17th and 18th centuries Jacob Tonson, William Pickering and many more booksellers including Bernard Lintot publishers of Pope, Farquhar, Steele and Addison were established in the street. Press cuttings dating from 1706 contain notices of Lintot with an address suggesting that he actually operated from No 16 Fleet Street the current location of the smaller Fleet Street branch of Wildy’s. The site was also the location of one of the original coffee shops of the 18th century that were the predecessors to the modern commodity and trading exchanges that have evolved into the Worlds most established financial centre. William IV succeeds George IV as King of the United Kingdom. 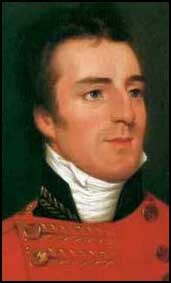 The Duke of Wellington, Britain’s greatest soldier who was now the prime minister of the day was forced to resign through his refusal to accept electoral reform. Despite his previous success in defeating Napoleon at Waterloo 15 years earlier public attention had been more recently captivated by the fact he fought a duel by pistol with the earl of Winchelsea allowing correspondence in which he was accused of being treacherous and in alliance with the antichrist due to tentative moves towards Catholic relief. The two men met at dawn on the shores of Battersea and although no-one was actually hurt as both parties proved poor marksmen, the incident highlights that despite indications to the contrary, politicians have evolved slightly over the last two centuries and now seem content in just throwing insults at each other across the benches of parliament instead. More civilised perhaps but certainly less entertaining. Following directives from parliament, British rule in India first forbids the practice of “suttee” whereby a widow burns herself to death on her husband’s funeral pyre. In more rural areas this was still occurring over a century later. In London two international conferences agree the terms for ratifying the independence of Belgium and Greece as modern states. Edward Beard Budding develops the first ever lawn mower, thus consigning thousands of sheep to the dinner table. The botanist Robert Brown discovers a cell nucleus in plant life. The Liverpool to Manchester railway opened the previous year. On its inaugural journey the Liverpool MP William Huskisson became a little over curious and stood watching on the track as the first train approached and was duly run over and killed.